Hemodial Int. 2017 Jun;21 Suppl 1:S110-S124. doi: 10.1111/hdi.12567. 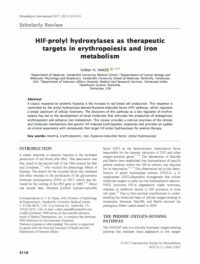 HIF-prolyl hydroxylases as therapeutic targets in erythropoiesis and iron metabolism. A classic response to systemic hypoxia is the increase in red blood cell production. This response is controlled by the prolyl hydroxylase domain / hypoxia-inducible factor (HIF) pathway, which regulates a broad spectrum of cellular functions. 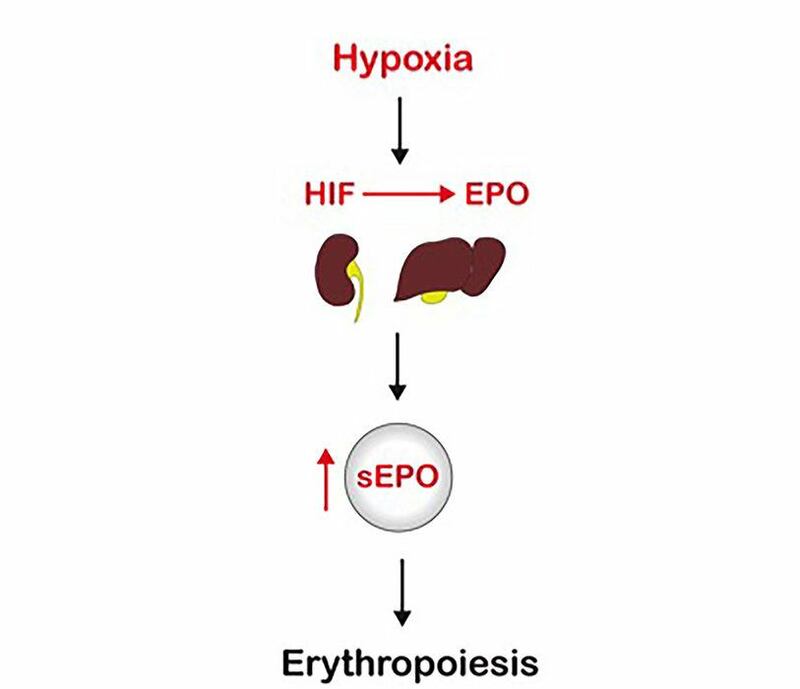 The discovery of this pathway as a key regulator of erythropoiesis has led to the development of small molecules that stimulate the production of endogenous erythropoietin and enhance iron metabolism. 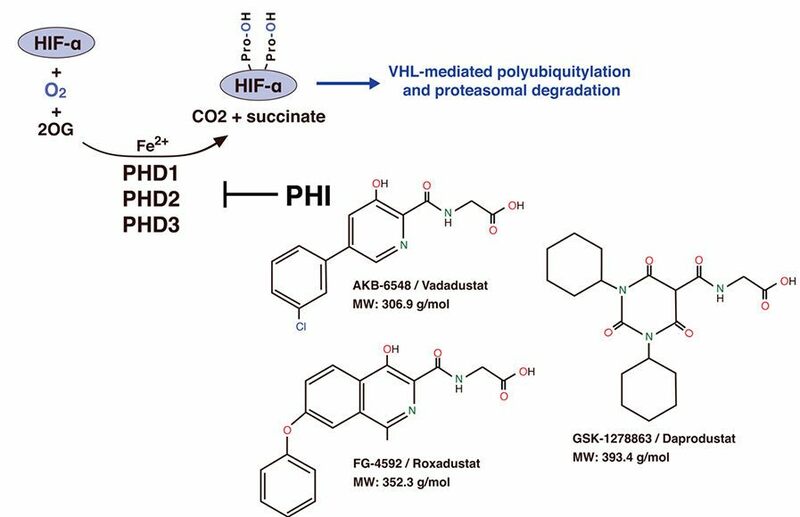 This review provides a concise overview of the cellular and molecular mechanisms that govern HIF-induced erythropoietic responses and provides an update on clinical experience with compounds that target HIF-prolyl hydroxylases for anemia therapy.